A quick look at Tammy Wynette's life and successful career. Tammy Wynette could be considered a “country music pioneer” for women to emerge in the country music industry. Here is the quick look into the successful career of Tammy Wynette. May 5, 1942: Tammy was born in Itawamba County, Mississippi. Her birth name is Virginia Wynette Pugh. Wynette’s father, guitarist William Hollis Pugh, died when she was only eight months old. Her mother, Mildred Faye, then moved to Birmingham, Alabama to work for the military and Wynette was sent to live with her grandparents, who were sharecroppers. She grew up surrounded by music and performed on a local Mississippi gospel radio as a teenager. In her late teens, she began a short-lived marriage to Euple Byrd. 1964: Tammy left Byrd and took their children to live with some relatives in Birmingham. She supported her family by working at a beauty salon in town before landing a part-time spot on a local TV program called the Country Boy Eddie show. After, she moved to Nashville, where she auditioned for several labels. 1967: Billy Sherrill signed Tammy to Epic Records. She released a number of successful top-hit singles: “Your Good Girl’s Gonna Go Bad” and “D-I-V-O-R-C-E”. The singles earned her a Grammy Award. 1968: Tammy won the first of three consecutive CMA Female Vocalist of the Year honors. Later in the year, Wynette released “Stand By Your Man,” which became her most popular hit throughout her career. The song peaked at No. 1 on the country charts and reached No. 19 on the pop charts. The song sold over two million copies and became the bestselling single by a woman in the history of country music thus far. Wynette was requested to sing with many fellow country artists. Her most significant partner was George Jones, who she married in 1968. Jones adopted Wynette’s children and the duo went on the produce many songs. Top hits include, “Take Me,” “We Go Together,” “We;re Gonna Hold On,” and “We Loved It Away.” However, the love was only on the stage, their marriage ended in 1975 although they kept recording over the next twenty years. Their last recording was the album, “One. 1970s and beyond: Tammy’s music career continued to flourish with the releases of many other chart-topping hits. 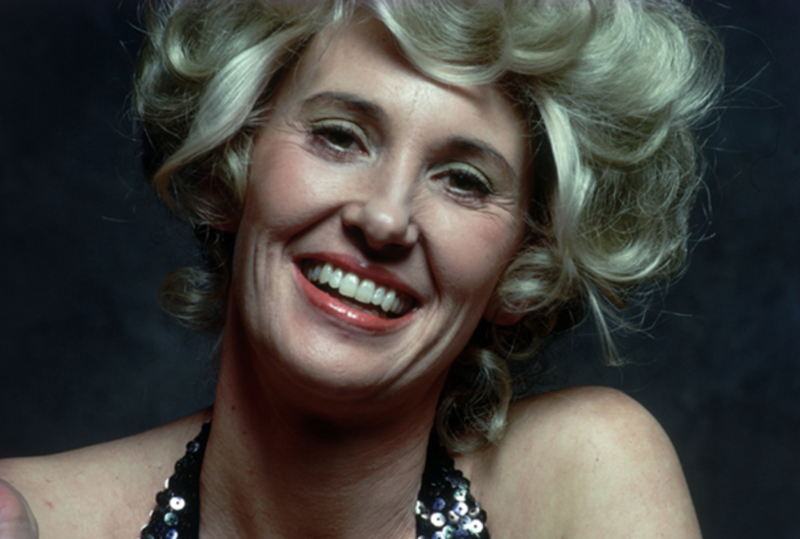 In the early 1990s, Wynette came together with the group KLF to create the international dance hit “Justified and Ancient.” Soon after, she was hospitalized a number of times before she died. April 6, 1998: Tammy died at the age of 55. Later that year, she was inducted into the Country Music Hall of Fame. Don’t forget to share this article with other Tammy Wynette fans!